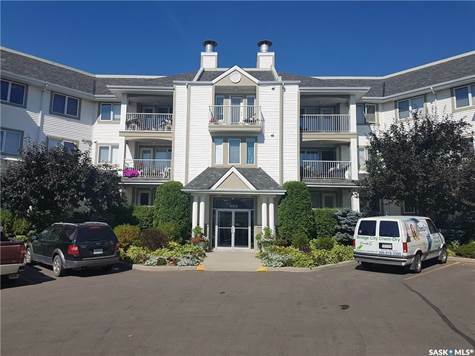 Seller is Open to Offers on this Fantastic Corner Unit Condo in the Willow Crest! This spacious main floor unit features a nice open floor plan with lots of windows. Two bedrooms, two bathrooms, a large living room, kitchen and dining area with garden door to a covered deck with composite decking and phantom screen door. Kitchen has an breakfast bar and upgraded stainless steel appliances. The master bedroom has a large walk-in closet and ensuite bathroom. In suite laundry room with newer cabinets. Upgraded Swedish floors, wooden blinds, central vacuum, newer washer and dryer. Two storage rooms, one just down the hall on the main floor and the other underground. An excellent building with a nice lobby, elevator, underground parking, beautiful common area court yard gazebo, lots of visitor parking, workshop, car wash station and an amenities room you can book for functions which includes a BBQ patio area, exercise equipment, pool table and shuffle board. Nice location in the building only steps away from the outside door and lower level parking so it’s not always necessary to use the elevator! Wonderful Lawson Heights Neighborhood close to the river, walking trails, shopping, bus and all conveniences!